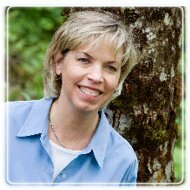 Lacey Therapist: Kerri Stoehr - Therapist 98503. Send A Message To Kerri. My specialty areas include 1) working with couples to create a more fulfilling and meaningful relationship, 2) working with women and teenage girls to overcome depression, anxiety, fear, and self esteem issues, 3) working with adolescents who have mood or behavior problems and provide support for parents, 4) providing coaching for career, vision and purpose, workplace issues, & leadership. I hold an accredited Master of Arts Degree in Applied Behavioral Science. In obtaining my MA, I completed a rigorous course in the study of human behavior and counseling. My counseling license credential is LMHC (Licensed Mental Health Counselor). I am also a Certified Professional Coach.